Nevertheless, that did not deter me from flying to Singapore. :p The one month visit pass that was given to me (plus another month extension which is of course subject for approval) needs to be maximized. Stretching my limited budget which can only last for 1.5 months or maximum of two months was also a big challenge. At that time, I was aiming to clinch a job during my first week of stay but sadly, it did not happen. One acquaintance even mentioned that I will not be able to find work there at all! Deep in my heart I felt like I hit the rock bottom but I just ignored her. When I did not receive any calls for interview after five days, I was upset. I kept thinking that maybe there’s something wrong with my qualifications or skill set. I was already thinking of my plan B, plan C, plan D, and plan E at that time. Out of frustration, I opened up this “tiny” problem with my friend, TheSoulfulVixen, when I was chatting with her via yahoo messenger (YM). And she suggested that I need to totally revise my resume. Ha! On the 6th day, I did a complete revamp of my resume. Whoa! I never thought that editing a resume was so intricate and chews a lot of time! And guess what? On the 10th day, while I was out gallivanting, I received a call. It was a phone interview and then she asked me to go for a personal interview the next day. I was so excited and absolutely nervous! The funny thing was, I did not take down the address properly. Good thing, I was able to come across the address via yellowpages.com. Thanks to Tim Berners-Lee for inventing the World Wide Web. Joan (James Lee’s sister) and Jessie (Joan;s’ boyfriend) accompanied me to check out the location of the company so that I won’t get lost. I felt really special because they were so nice to me even though they don’t really know me that well. After a restful sleep and before going to the interview location, I prayed intently. 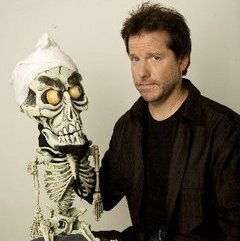 And in order to calm my nerves, I watched “Achmed the Dead Terrorist” in youtube and listened to jazz music. Nonetheless, I felt that I was able to answer the questions in a confident manner while the butterflies in my stomach were doing somersaults. The interviewer advised that I will be informed via email if I will be shortlisted for the third interview the next day. Lunch time during the next day, I was feeling jittery. I haven’t received any email. It later dawned on me that I was not chosen. I was awfully disappointed but life must go on so I started sending again my resume online. To cut the story short (which is now very long O_O), I got the job offer on that day (12th day of my stay in Singapore). Ooopzie! I can’t work yet though. The next step? The company needs to apply for my work pass at the Ministry of Manpower (Note: Even if I found the job, I need to get the work pass in order for me to legally work and stay there.). The application can be done manually (30 days processing) or online (7 days processing). The company opt to do it manually since it’s their first time to employ a foreigner. The processing took nearly 30 days! All the same, I was grateful because my work pass was approved. Rough roads are part of life… We just need to learn how to bounce back instead of drowning in self pity and blaming others for whatever happened in our lives. Take every single day as a blessing and a journey to a new beginning… Aja! ala ey… talaga nga nalaeng daytoy a gayyem mi… small but terrible a kuna da. you are sooooo Blessed sister. Congratulations! isu nga haan mo nga lipatan nga i-share dayta nga blessing tapno umadu pay dayta. Uhurm! hehehe….